It seems the frequency of Islamic terrorist attacks is matched only by those that wish to play apologist for them. This last week or so has seen horrific attacks in Istanbul, Dhaka, Baghdad and the ‘holy’ city of Madina. The usual suspects came out of the woodwork to cry ‘anything but Islam’. You may recognise Nathan Lean’s face from that time his cowardice was publicly exposed by Asra Nomani. 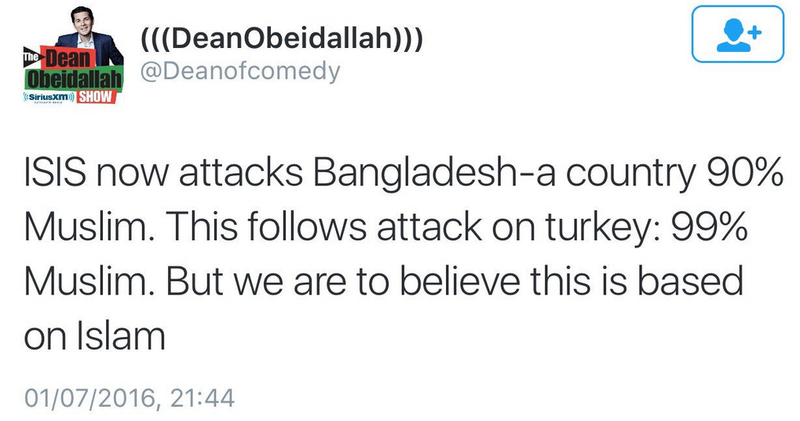 You may also recognise Dean Obeidallah for being painfully unfunny and lying a lot. Mehdi Hasan is the ‘moderate Muslim’ who compares non-Muslims to animals. A) What exactly is the point here? ISIS are still from among us Muslims. They still adopt a version of Islam that happens to be found in our scripture (eg: stone women, kill apostates, chop off limbs) to justify their actions. B) Think how insulting we sound. ‘They can’t be Muslims because they’re killing other Muslims’. As if killing non-Muslims would somehow make us accept they have something to do with Islam?? C) Religious extremism throughout the ages has targeted its ‘own’ before others. That’s the nature of trying to control people. And that’s why extremists were always so concerned with ‘heresy’ and ‘blasphemy’. The ‘traitor’ from within is always more dangerous, and thus always more strictly punished. The Prophet’s own grand children were killed by Muslim extremists known as the khawarij who were reported to be better at reciting the Quran & more steadfast in prayer than anyone else. D) The fact is, claiming that ISIS has *nothing* to do with Islam is as unhelpful and ignorant as saying ISIS *is* Islam per se. It’s blindingly obvious they have *something* to do with Islam and everyone’s laughing at us for trying to deny this. Instead of whinging and making our first reaction about Muslim victimhood, again, why not try being part of the solution by working to challenge extremism? Or are cartoons the only thing that make us come out in the streets with rage? You can follow Maajid on twitter @MaajidNawaz and listen to my interview with him here. I had the misfortune of reading some of Dean Obeidallah’s tweets yesterday. He was pouring scorn on & joking about the eye witness reports in Dhaka where the terrorists tested the hostages’ knowledge of the Q’uran before deciding whether to torture and kill them. This ‘technique’ has been adopted by other Islamic extremists before in other attacks & has been widely reported in the MSM. Yet Dean the ‘comedian’ felt it appropriate to jokingly question whether the ‘tests’ used by the terrorists were multiple choice or whether pictures were involved. He obviously feels that the summary execution of innocent people is a laughing matter & a platform on which he can trial new comedy themes. I don’t know whether or not to thank you for bringing this vile person to my attention. I guess on balance it is right that I know such people exist. It wouldn’t surprise me if he made fun of the holocaust at some point in his career. It seems to me that denial and deflection are part of the problem. If I were part of a religion (I’m not), I would hope to recognise that we have fanatics and want rid of them. But what I see quite a lot is that “ISIS are funded by Israel” or “ISIS are Mossad” or “ISIS are not Muslims” type comments. 1. They are not football supporters. I remember thinking that he was in denial, because they actually are, but just nasty people. 2. It’s not only our problem. This was a reference to other clubs also having a hooligan problem, but an immediate desire to deflect away from his problem. I see this going on now with certain Islamic problems (deflection, denial), whether it be terrorism, or extremist religion. 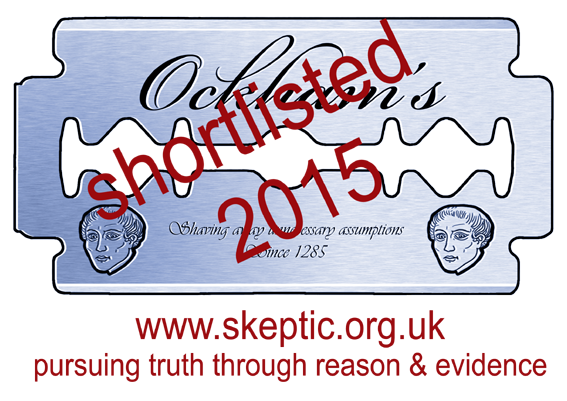 You have to wonder when, if ever, it may dawn on the Islamist apologists where the phrase “useful idiots” arose. Radicals of all stripes have a long history of viewing the more moderate elements of their own movements as expendable, and of turning on individual supporters once their usefulness has been exhausted. Something to do with an ideological purity not demanded of the Dhimmi, I suppose. This principle was also illustrated by Orwell with “proles and animals are free”, the Party was more demanding of its members than of the proles. The depressing thing about this is how quickly people become confused on this topic. 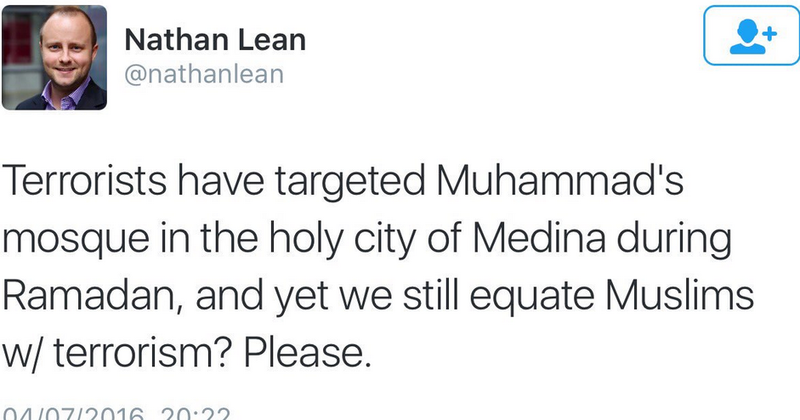 The prophet’s mosque itself was *not* the target. If you look at aerial pictures of the explosion, it is several hundred feet from the mosque, clearly contained inside the parking lot. Rukmini Callimachi retweeted someone yesterday who had a conversation with an ISIS supporter where the supporter said he was not bothered by this attack — the victims were apostate goons of the House of Saud and that only if the attack had been on the mosque itself would he be perturbed. ISIS has spelled out ad nauseum that they view the government of Saudi Arabia as apostates because of their acquiescence to US soldiers on the holy land and the fact that they are not eternally at war trying to spread Islam. It’s genuinely worrying that so many people are not willing to listen to the people doing the bombings and that when they say why they did it, well they must be using the religion as a smokescreen to cover their true intentions. In the report al arabia i saw, the bomber was intercepted by security forces in the carpark on his way to the entrance of the mosque, and so blew himself up early – there were massive crowds inside the mosque complex (which is huge) but if he’d got inside there would have been a lot of deaths. 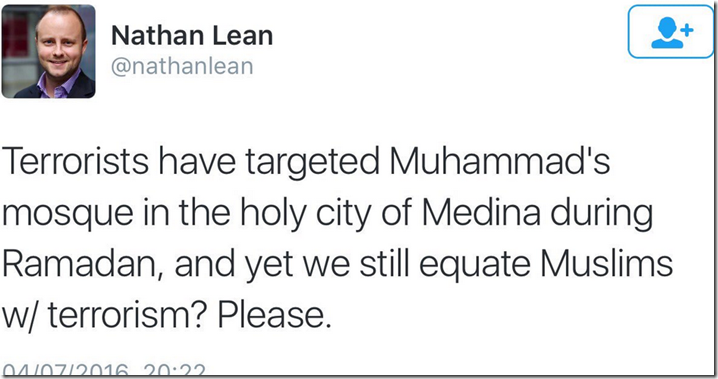 It doesnt matter whether the target was the mosque or not. Most people seem to have long forgotten the attack on the Grand Mosque in Mecca in 1979, inspired by the Iranian revolution. Remember one of the main purposes of the extremists is to bring about an Islamic uprising throughout the world however they can achieve it. Bin Laden himself was inspired by the attack on Mecca, which was an attempt to discredit the corrupt Saudi Monarchy. The Saudi’s had to get approval from the Grand Mufti to send in troops to quell the rebellion within the holiest site in Islam (All the ringleaders were executed) but in return they agreed to give billions of dollars to the Wahabi Imams to set up madrassas and spread their extremist version of Islam around the Globe, most notably to India, Pakistan and Afghanistan and Bangladesh as well as other extremist groups. That Iranian revolution (Shia) was in fact the origin of all the later wars and attrocities that have occured largely due to the destabilisation of the whole region (Shia/Sunni). Maajid has been arguing for awhile now, that we can make the conversation much more palatable by using precise terminology: we are decrying Islamism as opposed to Islam and jihadism as opposed to jihad. We have to give liberal Muslims and even conservative Muslims who have no interest in global Islam or forced Sharia, the linguistic tools to stand against the fundamentalists in their own religion.